Quibray Bay viewing platform in Kurnell is a great place for birdwatching and also features scenic views across conservation areas close to Sydney. Rustic Red Cedar Flat picnic area offers a perfect pit stop for walkers, cyclers and birdwatchers in the southern reaches of Royal National Park, near Otford. Secluded Warumbul picnic area is an ideal bush getaway with scenic water views across Port Hacking in Royal National Park, near Audley. 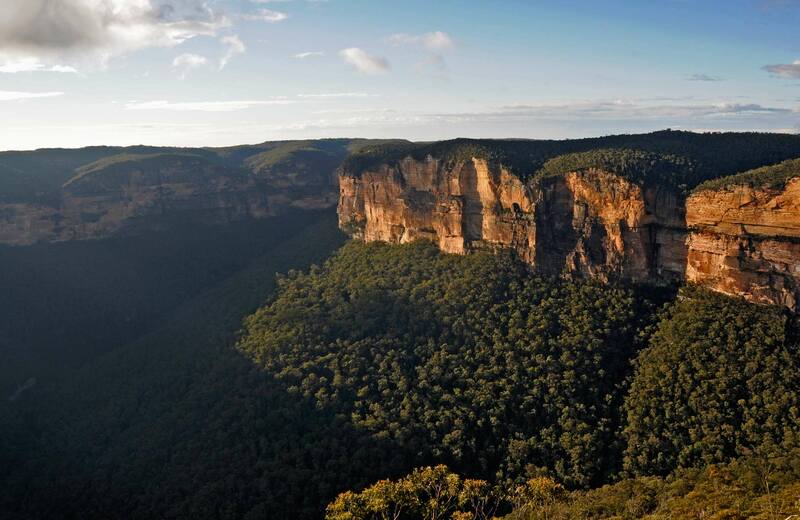 A great place for a family day trip near Sydney, visit Waterfall Flat picnic area in Royal National Park, which offers scenic bush views and birdwatching. Georges River National Park is an easy daytrip from Sydney. Birdwatchers love the Yeramba Lagoon loop track – a short track with scenic views and lots of birdlife. For great Sydney bushwalking, visit Heathcote National Park, near Waterfall in the Sutherland shire; combine your hike with birdwatching and freshwater swimming. A challenging hike through Heathcote National Park, near Waterfall, offering views, wildflowers and birdwatching, Lake Toolooma trail is the ultimate Sutherland bushwalk. Enjoy a day of Sydney bushwalking and birdwatching. One of the best walks in Heathcote National Park, Mooray walking track is easily accessed from Waterfall train station.